The movement of the academic procession through a demolished part of the Education Department’s beautiful old William White Cooper building to its new teacher education building during the new Education Building opening on Friday (11 October) was symbolic. It signified a shift from past to future. The Bishop of Grahamstown, the Right Reverend Ebenezer Ntlali, unveiled the plaque and blessed the new building. Dr Diane Parker, Acting Deputy Director-General: Universities, at the Department of Higher Education, cut the ribbon. They represented the role played by the church and the state in shaping teacher education past and future. The historic ceremony also marked the launch of the centenary celebrations of the Education Department, which will continue in various forms during the next few months. “It is a time for both backward and forward thinking, recognising and affirming what has been achieved,” said Dean of Education, Professor Di Wilmot. She mapped the history of teacher Education in Grahamstown with the founding in 1894 of a training school for elementary teachers by Mother Cecile, an Anglican nun. It grew and became the Grahamstown Training College in 1903. 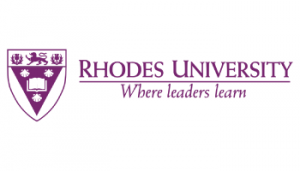 Parallel to this, the Rhodes Education Department was established in 1913 for graduates wishing to qualify as high school teachers. When the Training College closed in the 1970s, the Rhodes Education Department took over its buildings. Today, 100 years later, the Education Department has expanded to become the core of a Faculty of Education that works in four sectors: higher education, formal schooling and Early Childhood Development (ECD) and Education Training and Development (ETD). Its academic endeavor includes initial teacher education, research and in-service teacher professional development. The Head of Department, Dr Bruce Brown, explained the Department’s vision for the future and its commitment to quality and relevant education and access for all. The Education Department is excited about introducing a new four-year Bachelor of Education degree for Foundation Phase teachers in 2015. The Department’s commitment to a multilingual degree to address the critical shortage of mother tongue isiXhosa Foundation phase teachers in the Eastern Cape was commended by Prof Crain Soudien, Deputy Vice-Chancellor of the University of Cape Town, who noted the importance of teaching and learning in learners’ mother tongue. Prof Soudien elaborated on the future of teaching in South Africa as an “emotionally drained place,” which should not be seen as an affliction, but as a historical gift. “The task of teachers is stimulating the role of engaging with the world, not simply being in it,” he said. He reiterated that South Africa is a “social laboratory” which must focus first and foremost on learning. Rhodes University Vice-Chancellor, Dr Saleem Badat reflected on Prof Soudien’s words as a reminder of the paradoxes that characterise our society, and that it is an exciting “well-spring for possible things,” rather than an opportunity to lapse into cynicism or despair. Post-Graduate Certificate in Education (PGCE) student Songezo Malangeni said that despite construction affecting classes, he felt fortunate that the process has happened during his time at Rhodes. The new building’s design and use of space was informed by and reflects the Education Department’s pedagogical principles. The building, funded by a R15 million state infrastructure grant, will enable the Department to expand initial teacher education at Rhodes. The Dean of Education outlined a consensus strategic reached through ongoing conversations with different stakeholders committed to breaking the cycle of deeply entrenched inequalities in schooling in Grahamstown and the Eastern Cape, starting with formalising a reciprocal and mutually beneficial partnership with GADRA to create teaching and learning pathways.